Does anyone know where and when this photo was taken? 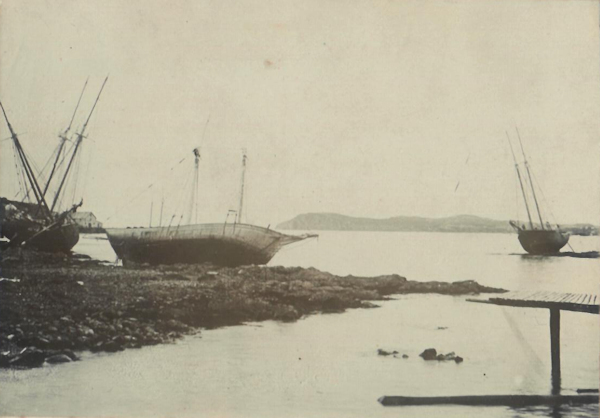 Are the ships deliberately beached, or is it a really low tide? On the original frame, is a stamp, C White, Twillingate, Newfoundland.